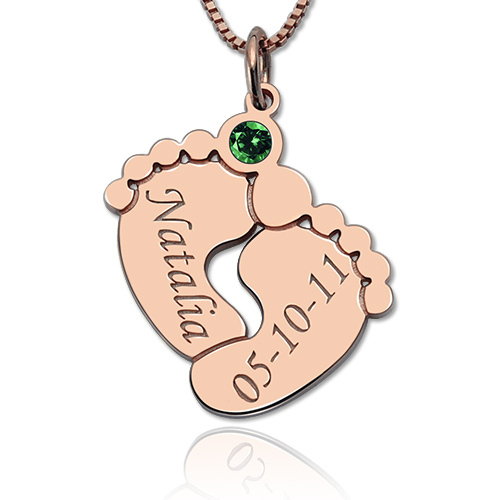 One of the cutest ways to show off your children has to be our Personalized Baby Feet Necklace. 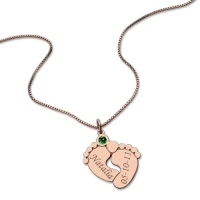 Everyone loves baby feet jewelry and this baby feet necklace offers a unique personalized touch! Aside from getting two names engraved on the feet, you can also choose one birthstone to add for a little extra something special. This necklace makes a great gift to any mom out there!